2 Books. 1 Subject. 2 Authors. 2 Fierce Stories. And Victories. Posted on Mar 30, 2016 in Nonfiction | Comments Off on 2 Books. 1 Subject. 2 Authors. 2 Fierce Stories. And Victories. “He got the job. He got the girl. He got the diagnosis. Son of a…” — The Half Book by Dan Duffy tells his story, full of unexpected humor, love and victory in his battle with testicular cancer. “You are weak; you are weary, and your spirit is broken. 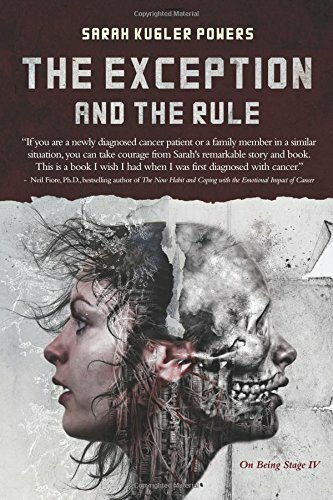 Your opponent is stronger than you …would you bet on you?” — The Exception and The Rule by Sarah Kugler Powers tells her story, full of fierce determination, heart and victory in her battle with Stage IV cancer. Both stories, recently published, give us insights into the depths of cancer and into the deep drives that keep us alive, no matter what.